I was going to avoid this animal, but I don't remember how. I guess that makes me kind of dumb. I mean, how do you not remember how to avoid something? Well, I would tell you, but I don't want to. And by 'don't want to', I actually mean, 'I have no clue what I'm talking about'. All I was trying to do was work 'Dodge', 'Ram' and 'memory' into my opening. Why? It's what I do. Well, no. It's not really what I do. They haven't come up with a term for what it is I do. And that's cool....I mean...I don't need societies labels. I am an individual, and individually I will exist in my own little world, inviting you in for a small, daily dose of my crazy. Which brings me to the fact that today is....MADE UP MONDAY! It's the day where I post something and you guys get to decide if it's true or not. And today's posts involves memory. RAM, that is. You know, that stuff in your computer? Random Access Memory? That stuff the guys at the computer store tell you that you never have enough of to run whatever program you want to run? Allow me to summarize what RAM, or computer memory, is. It's a circuit board with lots of little thingies called resistors and diodes and capacitors and storage chips soldered to it. It is connected to the logic board of your computer, and the computer uses it as a type of note pad. When it needs to jot something down for later use, it uses the RAM. Then, when it needs to recall that data, it pulls it off the RAM. The reason it uses RAM is because writing to the RAM is faster than writing to the hard drive. The reason adding more RAM speeds up your computer is the more RAM you have, the more files, and larger files, can be written to the RAM. For example, using a machine with 2 gigabytes of RAM, apply a filter to a picture in Photoshop. Then, using the same machine, bump the RAM up to 8 gigabytes and apply the same filter to the same picture. You will notice a difference in the amount of time it takes. But, RAM can also be evil. I know a lot of you use that operating system called Windows. And, if you use Windows, at one point or another, you have experienced something called 'The Blue Screen Of Death'. That's where your system has crashed. It generally spits out a bunch of text that no one can understand. But don'e feel bad. Despite what we like to say, us Mac users experience the same thing sometimes. Except, our screen goes grey, and has even more unintelligible text on it. We call it a Kernel Panic. But, it's only unintelligible if you don't know how to read it. I know how to read it. Nowadays you don't see these errors as much as you used to. Now they generally occur when theres an issue with hardware, or a conflict in software. But as little as 5 years ago, they were much more common. And the culprit? 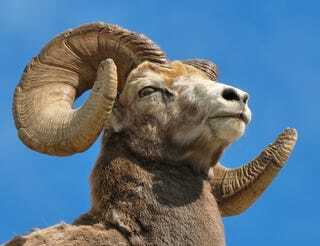 Your RAM. Remember those days? You'd get the error screen. Then you would swear because you just lost everything. And then you'd power off your machine and restart it. Most of the time, that fixed the problem. That's because you encountered what's known as a 'soft error'. That is, an error that isn't permanent. Soft errors are caused when the computer stores something into the RAM, and when it retrieves it, it's been corrupted. Restart the machine, and viola! Problem solved! These days, we see fewer soft errors. They still happen, but now, instead of crashing the system, it just crashes the individual program, like your browser. Also, RAM technology has improved. Now the standard for memory is to use error correcting memory. And it does just what it's name implies; It corrects those errors that used to crash your machine. OK. That's it for your computer science lesson for today. Now we get on with the meat of the post. Here comes the part where you get to decide if I made it up or not. Sometimes we have no way of knowing why something failed. Other times we do. And when it comes to soft errors, I know why they happen. Yup. Rays that beam out of the stars and travel to Earth, and then corrupt your memory causing a crash. Ok. Cosmic rays aren't the only reason, but they are the most common. And there's nothing you can do about it. Well....nothing practical, at least. I mean, you could shield your computer in lead. Or put it underground. About 100 feet underground. Neither option is practical. You could surround your computer in a Faraday cage, but that wouldn't work. A Faraday cage won't stop cosmic rays. So, you just have to accept the fact that, when your computer encounters an error and you have to reboot it to get it working again, chances are, it was a stray cosmic ray that caused it. So people of the male, female and other persuasion......truth or lie? Are cosmic rays responsible for most of the soft errors your computer suffers? Tune in tomorrow and I'll let you know.